A pleasure to have and to hold, the ATX Collection has a contemporary, chic style. 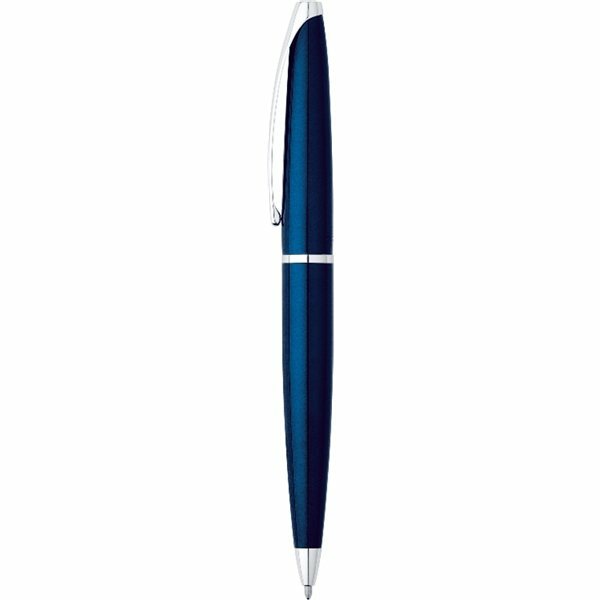 With an ergonomic design accented by a brilliant dimensional hue of blue, this ballpoint reflects contemporary fashion trends. Very good for that cost. I also love the size, not too small and not too big. Item showed up as pictured. Your survey was sent out a bit early. We ordered the product as a party favor. Unique design. There was nothing to dislike about the item. Perfect marketing item. Why go anywhere else! A very good quality piece for low cost. Everybody Loved them! A great giveaway because of its classy look and comfort grip perfect for executives and clients who have fast paced lifestyle. It looked exactly or even better than I had imagined.